Sitting down to collect my thoughts on Texas Brewvolution, I started thinking to myself how it seems like every time I turn around I'm putting together a recap of some festival. Depending on how you classify certain events, a count of how many have occurred this year might reach into the teens, with large scale events numbering right around ten. Each has had a slightly different feel and focus, with Brewvolution being no different. Organized by the folks behind Paste Untapped and the Big Texas Beer Fest, if you walked in expecting the atmosphere of either of those you were in for a surprise. That, of course, brings about the obvious question. What is a good surprise, or a bad surprise? 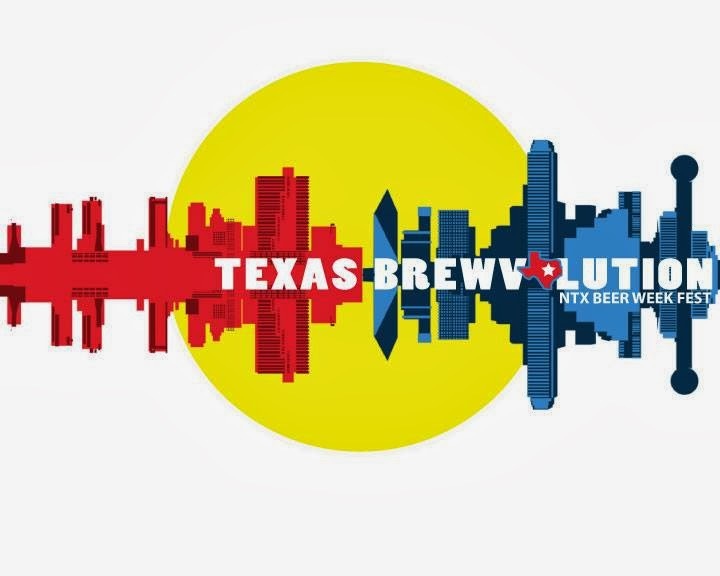 Brewvolution wasn't the behemoth of Big Texas and it wasn't the beer geek bonanza that was Untapped. Then again, it wasn't supposed to be. Seeing as how it was the first day of North Texas Beer Week, it was understood that beer lovers would be spread out among a dozen other events that included anniversary parties at Deep Ellum and Rahr. A similar thing can be said for the beer itself, with brewers charged with supplying beer to multiple venues over the coming days, there were only so many specialty and one-offs to go around. What we did get, though, was a more relaxed setting in a smaller space that, for lack of a better word, was downright cozy. Words like comfortable, friendly and pleasant make up the definition of that term, and are the same words I would use to describe Brewvolution. Lines were short, there was plenty of room to move around and you almost had to purposefully avoid getting caught up in one of the many craft beer conversations. As for the beer, the spotlight was on Texas and brews crafted close to home. Franconia brought out their Smoked Wheat, which contrary to one Untappd user's commentary didn't taste anything like a burnt wiener, and their Oak Aged Fall'n Bock. The latter was a first chance to taste the most recent vintage of a beer I felt was one of the brewery's best last year. Owner Dennis Wehrmann tells me he's planning to let this one age a bit longer before wide release, to allow more barrel character to work its way into the beer. Other barrel treatments included Lakewood's impossibly good Red Wine Till & Toil, which just keeps getting better with age, and Saint Arnold Bishop's Barrel #5, a beer which seemed a little barrel dominant and could probably use a little more time. I also sought out FireWheel's coffee-rich Cool Beans Espresso Porter, along with a moderately-spiced winter seasonal from Rogness called Holiday. My favorite beer of the day, though, was probably Mullet Cutter from Revolver. Dry-hopped with Citra, this English-style Double IPA was all at once bright, fruity, earthy and herbal with a pronounced finishing bitterness. That said, both randallized brews from Armadillo were high on my list as well. They had Greenbelt Farmhouse Saison infused with pineapple and mango, as well as Quakertown Stout running through hazelnuts and cocoa nibs. Of the national brands on hand, notables were Dogfish Head Olde School Barleywine, Brooklyn Cuvée La Boite and a personal favorite in Labyrinth from Uinta. For the most part, though, I played along with the theme and stuck to local flavors. Surveying the experience as a whole, the sentiment I got more than any other was that there was plenty of good beer and people seemed to welcome the low-key environment. Hearing that, I'd say the answer to the question I posed earlier is this: good surprise.